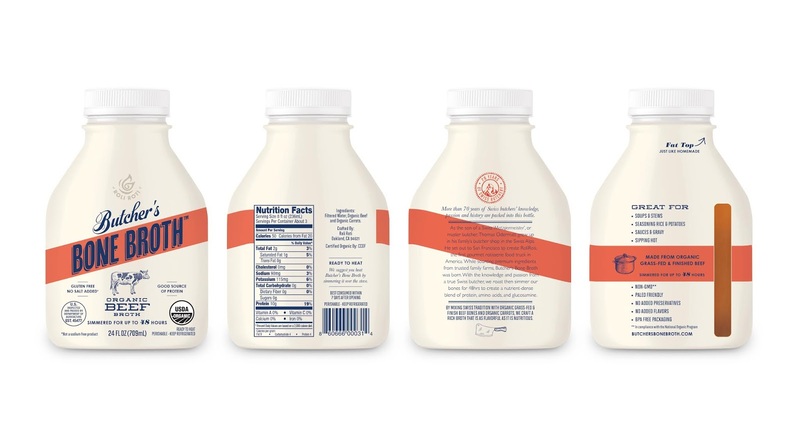 A range of 4 Organic Bone Broths, slow roasted to perfection, then paired with Organic vegetables and simmered for a minimum of 24 hours, yielding a full-flavored, decadent broth. 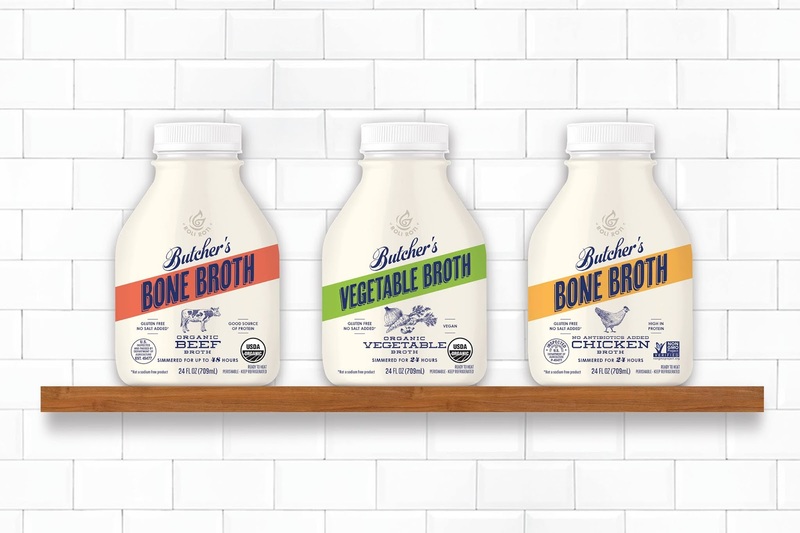 Rooted in the Swiss Butcher’s knowledge and heritage, Butcher’s Bone Broth bones are slow roasted to perfection to enhance the flavors, then paired with organic vegetables and simmered for 24 hours to yield a full-flavored, rich and decadent broth. The Creative Pack created a design that is elegant and clean. The typography and the etched illustration communicate superior quality, appealing to cooks and food enthusiasts. The words “Butcher’s” validates the product range, reinforcing the knowledge of a traditional butcher that knows how to work the meats and choose the best cuts for the right purposes. 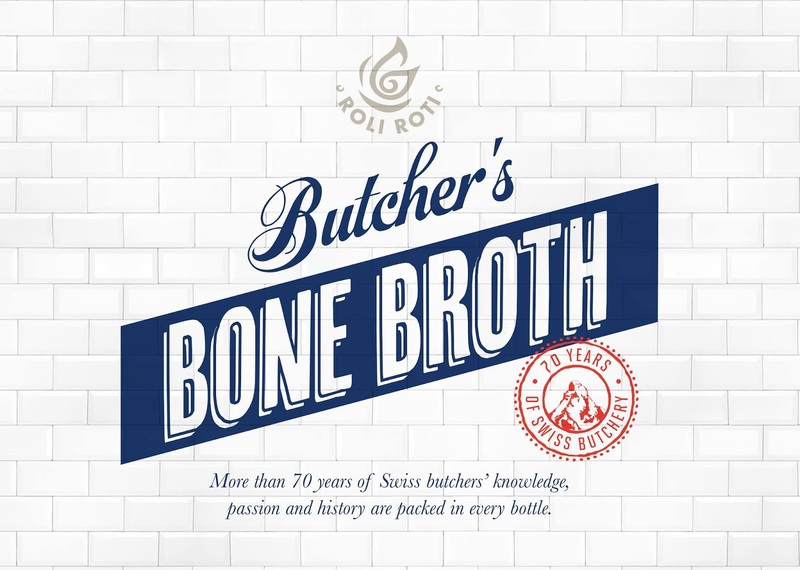 Rooted in the Swiss Butcher’s knowledge and heritage, every bottle of Butcher’s Bone Broth begins the same way. Bones slow roasted to perfection to enhance the flavors, then paired with organic vegetables and simmered for 24 hours to yield a full-flavored, rich and decadent broth. As a son of a Swiss ‘Metzgermeister’, or master butcher, Thomas Odermatt, Butcher’s Bone Broth’s founder, grew up in his family’s butcher shop in the Swiss Alps. Thomas learned the importance of using the right cuts for the right purpose, and of choosing only select, free range meats raised by trusted farms. 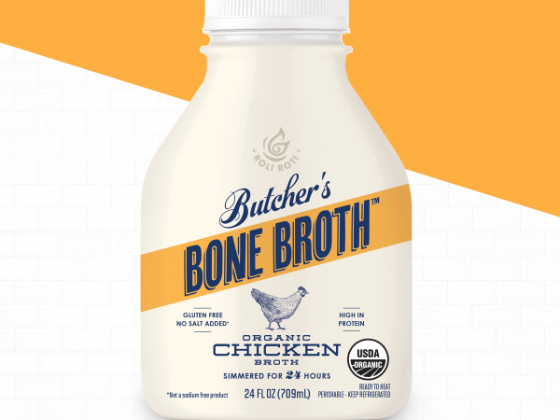 Butcher’s Bone Broth years of experience and abundant knowledge of specialty meat products makes their bone broth more valuable than its competitors. It was The Creative Pack’s job to create a design that focuses on sharing the brand’s expertise in the category. The design is elegant and clean, the typography and the etched illustration communicate superior quality, appealing to cooks and food enthusiasts. The first read is Butcher’s Bone Broth; the diagonal type is eye catching and creates strong branding, also suggests its European heritage. The words “Butcher’s” in script, validates the product range, reinforcing the knowledge of a traditional butcher that knows how to work the meats and choose the best cuts for the right purposes. Currently the product is sold locally in California as well as in Washington, Oregon, Idaho, Texas and Florida. 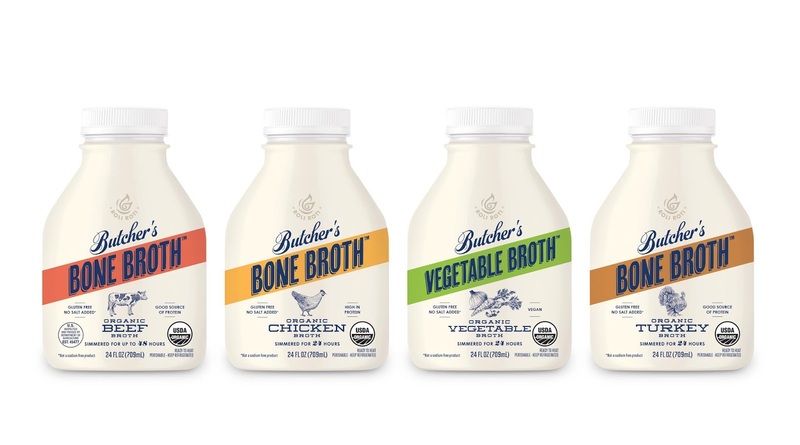 Butcher’s Bone Broths are offered in 4 flavors, Turkey, Beef, Chicken and Vegetable. The color band and the illustration changes per SKU, making it easy for the consumers to shop. The broth comes in 24 fl oz. bottle, with a shrink wrap sleeve, which allowed for more design space. The consumer can learn about the qualities and benefits on the side panel. A clear strip window revels the level of the product. For cooks, it’s always helpful to know how much product is left.